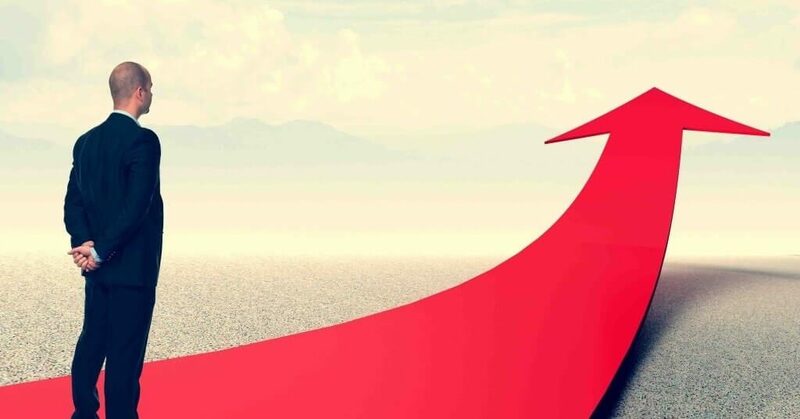 The following are some of the top best penny stocks for April 2019 you can take advantage of given their companies’ excellent reputation, high profit performance and increasing growth potential. CANN is a holding company that is involved in lease provision for licensed marijuana operators in segments of marketing, securities, finance, consulting and real estate. With a market capitalization reaching more than 92.7 million dollars and outstanding shares nearing 36 million, it turned in a top penny stock performance rate of 101.5% in one year. Given the positive outlook on the marijuana industry with all the ongoing legalization efforts, Cann is a good choice if you are after its long-term earning potential. Note that the share price at this time is around $2.41. Now referred to as IMV Inc., it is a clinical stage immuno oncology company based in Canada. IMV Inc. is currently developing cancer vaccines by focusing on T cells as well as other vaccine applications for infectious diseases. The penny stock has done very well for many months now, with a market capitalization reaching almost 328 million dollars and outstanding shares of 45 million. There has been an increase in the company’s gross profit even if the net income has gone down a bit. At this time, the stock price is about $6.72 as one of the best-performing penny stocks for the month. Nemaura Medical Inc. is engaged in research and manufacturing of medical devices through its subsidiaries. One such device is SugarBEAT that is used for glucose monitoring. It contains a disposable sensor patch and a rechargeable electronic watch. Nemaura’s market capitalization has now stretched to more than a quarter billion dollars. Although there was a net loss of $1.139.275 based on the latest QE, this penny stock that is currently priced at $1.03 can still be promising, especially when their SugarBEAT becomes commercialized when it’s launched in the UK later this year. Fortress Biotech is a biopharmaceutical industry focused on acquisition, development and marketing of new pharmaceutical and biotech products.They have since come out with a product called CNDO-109 which is geared towards fighting leukemia and other related diseases. The company’s current free float is about 54 million, but with a low trading volume that amounts to 264 thousand. Given the complexity of their business, this penny stock can be bought as a long-term investment which is now priced at $2.13. Cannabis Science Inc. is an American company that specializes in research and development of cannabinoid- derived medicines that target major illnesses such as cancer, chronic pain, neurological diseases, among many others and consequently seeking FDA approval. It is one of the top cheapest penny stocks on this list at $0.066 per share, which have gone up a bit middle of this year. But at the rate things are going, it deserves your attention with its bursting potential for growth. Penny stocks have gained popularity over the years among stock players, newbies and veterans alike. Interestingly though, experts may have different criteria on what qualifies as a penny stock. But by definition, penny stocks are any security trading of small public companies, or micro-caps, that cost less than 5 dollars each share. The low share price of a penny stock makes it accessible to more investors who are hoping to make a killing in its market. Marijuana stocks, which started out in the penny stock category, saw a tremendous growth within the last few years, and are about to become a multi-billion dollar industry before the year ends. Penny stocks can be a viable investment, but can be extraordinarily risky at the same time. That’s why seasoned investors have a better chance at making money from penny stocks because they do their homework on these companies that they are putting their money into. They also have a broader understanding of the market. Before I got into penny stocks trading, I’ve always been looking for ways to make my money work for me, and not the other way around. Being born into a middle-class family with a conservative upbringing, my parents have taught me to be conscious of every money I spend. I was almost deprived of it, even when I needed to buy something for personal use. So when I reached the ripe age of 18, I vowed that I will make a lot of money on my own. I came across forex trading and binary options while I was browsing the internet. It was the latter that piqued my curiosity from the get go, what with benefits such as 70% payout per trade, affordable initial investment, low spreads, attractive bonuses, etc. So I signed up, however, I declined to accept the welcome bonus offer that came with it because I didn’t feel secure with it. Instead, I did my research on this subject and went on to learn more about trend analysis, algorithms, cornerstones, and other related topics. This is something that’s very important to do, especially when you are entering a field that you know nothing about. Market sentiment was a concept that took me a while to grasp and when I finally did, I began to earn a few dollars. It became so encouraging that my earnings were increasing along with my growing contract size. As such, I decided to go all in with binary trading and successfully got my initial capital back threefold. However, I got a lot of order slippage afterwards. And I became frustrated with the brokerage system. My trading transactions have been hampered by things like decreased payout percentage, an inattentive and deceptive account manager, and the general scheme for dealing in securities. The brokerage I realized, was just a market maker after all. It takes advantage of unsuspecting investors by buying and selling at specific prices. As a result, my trading account was emptied out, losing all my money in the process. After a brief period of depression, I was not one to be defeated quite easily despite a failure. This time, I got my eyes set on foreign exchange market trading. As long as it involves financial markets, investing will always grab my attention. I knew there were many forex brokers around but the last thing you would do is to cross even just one of them. As such, I got myself one licensed broker, who I felt comfortable handling my business transactions in the long haul. My transition to forex means going back to ground zero for me once again. Never mind if had financial issues after getting burned by my trading past. I was aware that the forex market is no place for a quick buck. 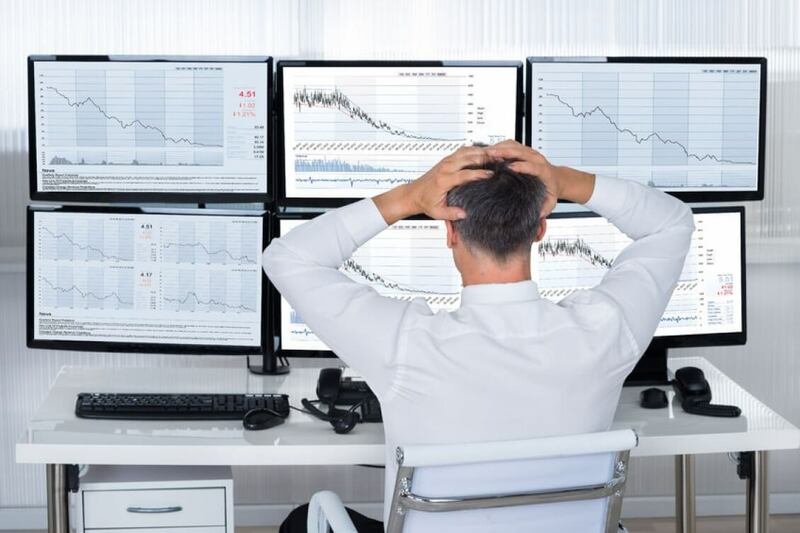 Just like with binary options, I also studied about all its concepts – currency trading, volume analysis, high liquidity, etc., which I have put to practice and became really good at it. Unfortunately, I was hit once again financially by economic upheavals in 2017 and the political landscape at the time. In spite of my efforts, the currency market has proven to be a challenging one. Until I discovered the potential of penny stocks. To say that I’m unrelenting and tenacious could very well be an understatement. Trading is my jam nonetheless. Come to think of it, buying penny stocks is no different than investing in large companies. When you place your money on penny stocks, you can profit either by selling your shares or by claiming dividends. 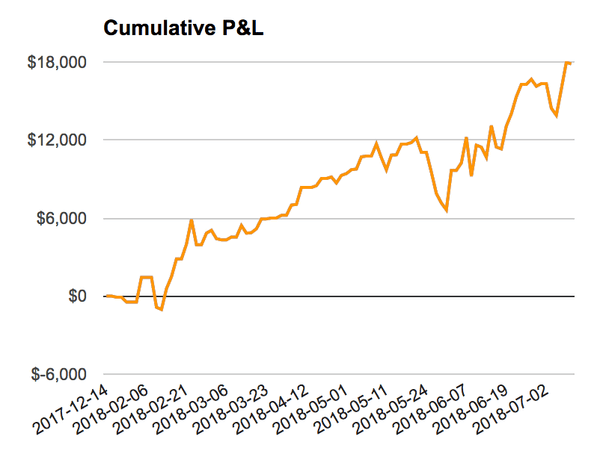 Given the last 6 years of my life chasing that big trading payoff, I knew I’ve had it with the usual bump and grind of online trading, that is, watching and sitting the entire day, keeping tabs on the market, and jumping on the right spot before calling it a day. While it may be generally risky to invest in penny stocks given that they are highly speculative and volatile, the fact that you don’t need to put in a lot of money is quite attractive to an investor. Here are other reasons why you, too, should consider investing in penny stocks now. As mentioned, penny stocks are sold at a lower share price which can be your first foray into stock trading. And it is also often that you may find yourself without a lot of money, only trading knowledge and skills in your name. With penny stocks, you will not need tons of money to start investing. You can hold thousands of shares in penny stocks for a smaller investment, costing the same, but for fewer shares with regular stocks. To simply illustrate, you can buy 10,000 shares with your capital of $5000 for a penny stock share of $0.5. As such, a few cents of gain could mean big percentage returns. Given the low investment, there is a higher return in terms of percentage in penny stocks. They move up at much faster intervals which make it possible to earn money in quite a short time. Penny stocks are generally traded via PinkSheets or OTCCBB (Over The Counter Bulletin Board) on the basis of over-the-counter transactions. 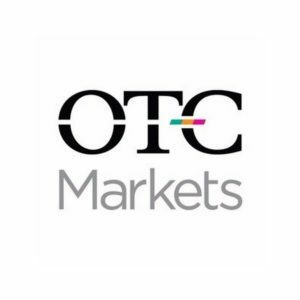 Instead of traditional exchanges, OTC trading occurs electronically or by using computer networks. There are a number of advantages with OTC trading. One is having the opportunity to buy stocks previously listed on NASDAQ and NYSE at a lower share price. Such stocks will have a good chance of recovering being in the penny stock category. Another important advantage is the reciprocity of contracts between the seller and the buyers without any third party involvement. Exercising due diligence proves to be important in anything, especially when investing in penny stocks. Do as much research on the fundamental analysis, profit drivers and financial ratios of the company you are trading to manage your investment. One of the benefits of penny stocks is their predictability which you can use as your tool to gain profit. Trading is based on the traditional law of supply and demand. When you are able to identify the trends and market reversals, it will be easy for your trade with penny stocks. 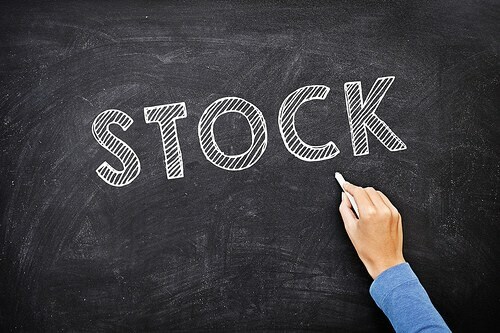 It’s easy to buy penny stocks as they are common shares that are available for purchase. However, you are able to minimize risk by avoiding liquidity penny stocks. The focus should be more on trading instead of investing in the next potential hit. When you add up all your trading transactions, you’ll realize that you have a cash cow on your hands. Yes, you can really earn more! You can possibly achieve a daily return of up to 20% on the average when you trade with penny stocks. But given their volatility, you should keep your greed at bay by closing out once you’ve reached your targets. A 200% return is expecting too much, but you can make profits every day when you have a clear understanding of market behavior. There are even times when a penny stock increase can level up its trading to a mid-cap stock. This means its value can multiply several times more. However, making a profit with penny stocks will require smarts, patience and control on your part. You should invest a smaller amount in the beginning and get as much details as you can about the stocks. Choose the right broker to invest on penny stocks with lesser risk.